Heartworm disease is caused by the parasite Dirofilaria immitis, a type of roundworm that lives inside the heart and blood vessels of the lungs. Heartworm disease is transmitted by mosquitoes. It is a serious disease that primarily affects the heart and lungs but can also affect the liver, kidney, eye, and central nervous system, and if untreated, can cause death. The symptoms of heartworm disease are subtle and can be easy to miss. As the number of heartworms increases, the symptoms of coughing, lethargy, exercise intolerance, lack of appetite and weight loss become more apparent. However it is best not to wait until symptoms develop since irreversible damage may have already occurred by then. Heartworm disease has been found in all fifty states, though it is more prevalent in the southeast and along the Mississippi River. Studies by the American Heartworm Society (AHS) have found that heartworm infections are increasing across the United States. While most people know that heartworm disease affects dogs, many are unaware that it can also affect cats. It was once believed that cats were resistant to heartworm infections but recent studies have shown this is not the case. Cats, just like dogs, can get heartworm disease. The fact is any animal can be bitten by a mosquito and therefore become infected with the parasite. 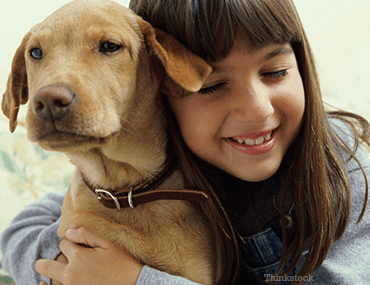 Speak with your veterinarian about your particular pet’s risks and how to protect them. Heartworm disease is most commonly diagnosed using blood tests that detect the presence of heartworms. Many veterinarians run these fast, simple tests in the clinic and can give you results within minutes. Depending on the test results and the animal’s symptoms additional laboratory tests, radiographs and a cardiac ultrasound may also be recommended to determine infection and severity. The best way to treat heartworm disease is to prevent it in the first place. Fortunately, there are numerous safe and effective preventative medications available. Heartworm preventative medications are available from your veterinarian in many forms: oral, topical, and injectable. In addition to protecting your pets from heartworm disease, many of the heartworm preventatives also protect your pet against other internal parasites. This is important because it helps prevent the spread of parasites. So not only are you getting heartworm protection for your pet but also peace of mind that your pet has not picked up parasites like roundworms that can be transmitted to other pets and even humans. Finally, before starting preventative medications on pets over 6 months of age, have your veterinarian test them for heartworm infection because serious complications can develop if an infected animal is started on certain preventatives.